Alex Ovechkin became the highest-scoring Russian-born player in NHL history on Thursday night by scoring career goal number 484 to surpass Hall of Famer Sergei Fedorov. After tying Fedorov’s record on Nov. 7, Ovechkin uncharacteristically went four games without a goal before finally burying the milestone at home in Washington on Thursday. Interestingly, Ovechkin scored two goals that were disallowed after coaches challenges involving goalie interference and the play being offside, both on Justin Williams, before scoring on Thursday. “The Great Eight” took 777 games to complete the feat, while Fedorov took 1248 games to score 483 goals. With 912 career points at the age of 30, Ovechkin already belongs in the conversation for the best Russian player of all time, and he still has plenty of time to further solidify his legacy. If Ovechkin scores his 500th goal this season, he will be the fifth-fastest player to do so in NHL history. Wayne Gretzky (575 games), Mario Lemieux (605), Mike Bossy (647) and Brett Hull (693) are the only players to score 500 goals in fewer than 700 games. Obviously, Alex Ovechkin is one of the most electrifying players ever to play the game of hockey. To be mentioned in the same sentence as the goal scorers in the above list is special in its own right. These are just a few of The Great Eight’s many accomplishments in his illustrious career that will land him in the Hall of Fame, no doubt. 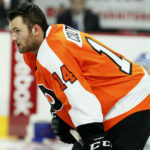 However, one of the most obvious omissions from the list is the Stanley Cup. It is clear that winning the Stanley Cup has become the main focus for Ovechkin and his teammates. 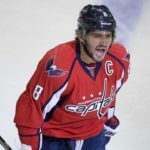 Anyone who watched Ovechkin closely over the past few seasons knows that he is a player who has drastically changed the way he plays the game in the hopes of achieving his ultimate goal of winning the Stanley Cup. 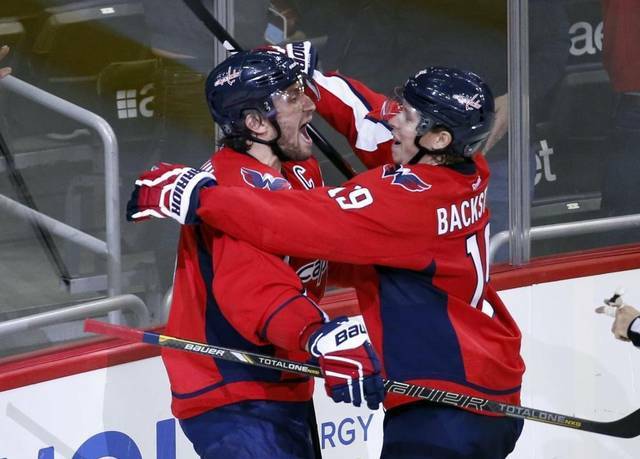 I hope Ovechkin does win a Stanley Cup, something that would be the ultimate stamp on a storied career; the Capitals are certainly looking like serious contenders so far this season. Congratulations to the highest-scoring Russian ever, Alex Ovechkin!